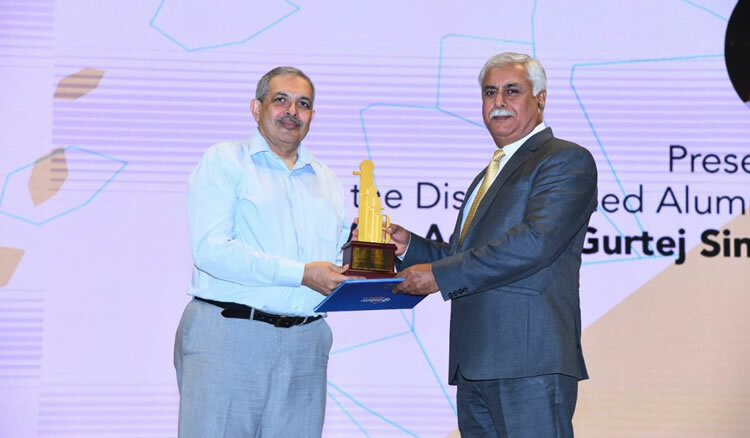 Vice Admiral Gurtej Singh Pabby, PVSM AVSM VSM, Chief of Material, Indian Navy, was awarded the Distinguished Alumni Award by IIT Mumbai on 08 Mar 19 for his all round and stellar contribution towards Advancement of Technology and leveraging Industry - Academia collaborations. He is presently appointed as the Chief of Materiel in the Naval Headquarters at New Delhi. Vice Admiral Gurtej Singh Pabby had graduated from NIT(Erstwhile REC) Kurukshetra in 1980 and subsequently did his Post Graduation in System and Control Engineering from IIT Mumbai. 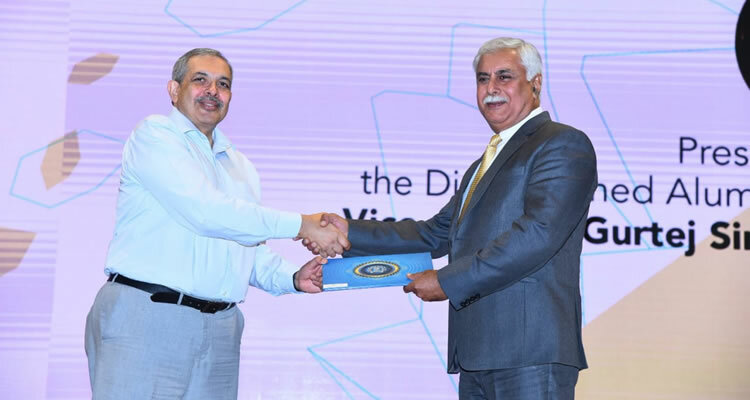 Vice Admiral Gurtej Singh Pabby had given immense impetus towards development and induction of latest naval technology like Air Independent Propulsion, PLC Based Automation and Controls and Indigenisation of Gas Turbines. He has been at the forefront of Navy’s green initiatives such as MARPOL Compliance, Diesel Exhaust Emission Control and use of Bio Fuels. He has also interacted extensively with professional bodies / institutes / academia and the Indian Industry to encourage their participation particularly the IITs and MSMEs, in construction of equipment for ships and submarines for the Indian Navy and undertaking R&D / Indigenisation projects.